CookDiary is a clearly arranged recipe software. You can collect and manage all your favorite recipes with ease. Just add your own recipes. Every dish has a place in CookDiary. 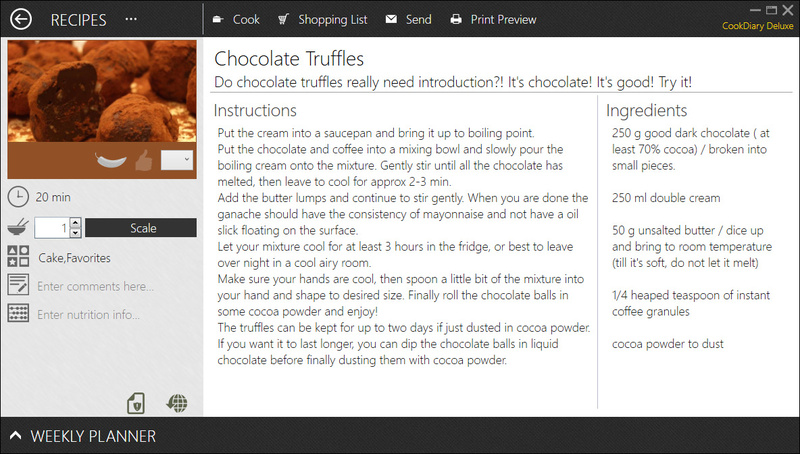 Collect recipes from the internet directly in CookDiary. You can then adjust them to your liking and print them at any time. 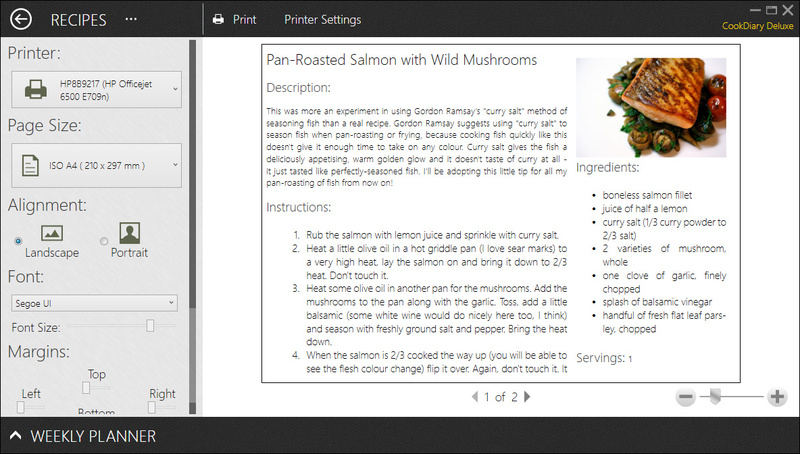 So you can even print your own self made cookbook. CookDiary makes it easy to scale ingredient amounts. This is especially handy when cooking. This cookbook software uses its integrated search to find your recipes in the blink of an eye. You can search for names, used ingredients and heritage. And you can even search for all this terms at once. So you can easily answer the question “What shall I cook today?” with the help of your personal recipe software CookDiary.